Streaming has changed the way people consume music, and it may be changing the way songs are written. Researchers and songwriters alike observe that songs that do well on streaming have shorter instrumental intros and get to the chorus faster, to hook the listener as soon as possible. At the Grammys this Sunday, the top-nominated artists also happen to be the most-streamed artists in the world. 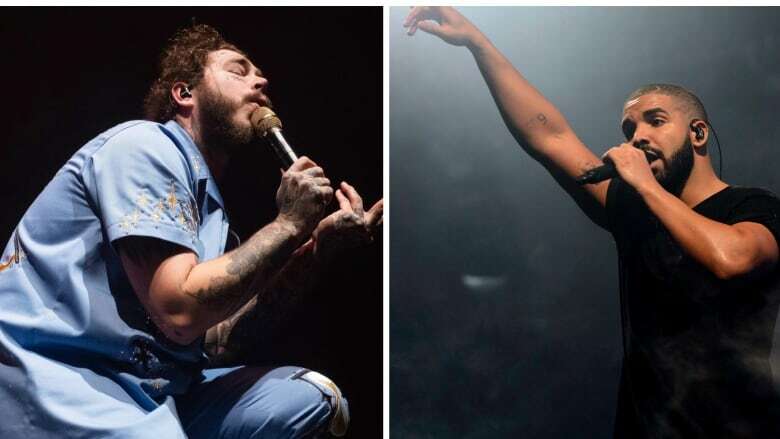 Drake, Post Malone and Kendrick Lamar have cracked the formula for a streaming-platform hit, in an era when streaming is quickly becoming the most important measure of an artist's popularity. Researchers and people in the music industry say that the importance of having a song do well on Spotify or Apple Music is changing the way songs are written. 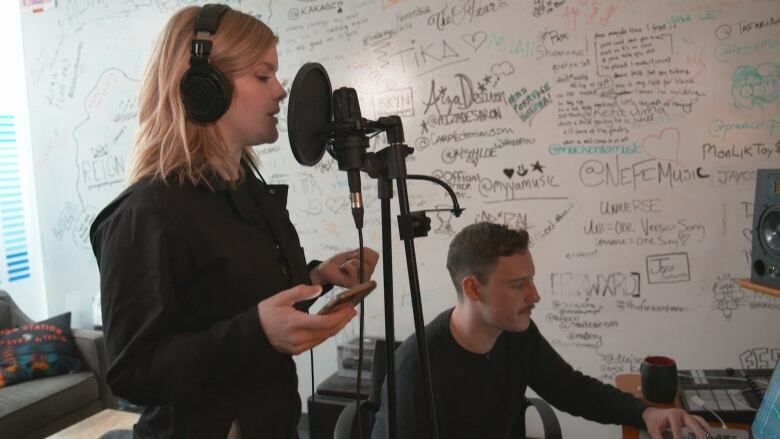 It's especially top-of-mind for younger artists — such as Canadian pop-electronic singer-songwriter Willa — who are trying to hook their young listeners in as few seconds as possible before they hit "next" on the playlist. "The way that streaming has affected my writing is: trim the fat. I just shorten intros," Willa said during a break from writing a new song with producer Michael Goldchain at the Toronto offices of Canada's songwriters association, SOCAN. "I try to make sure that there's no wasted space. Everything that's in there is like 10 out of 10." 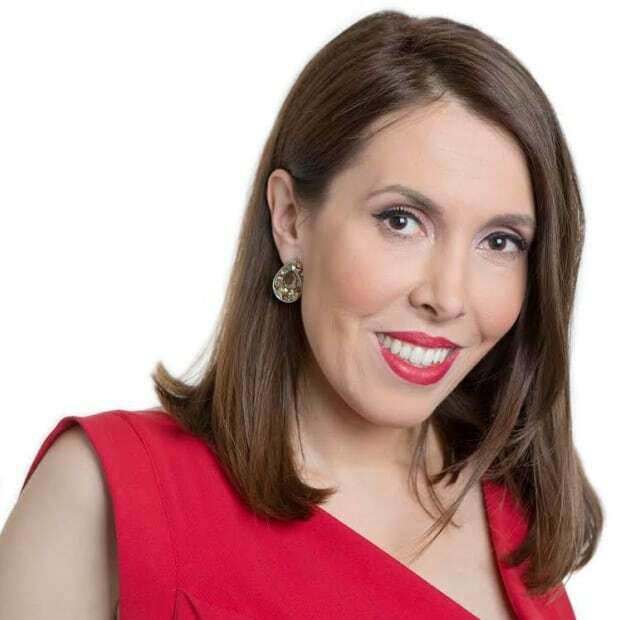 Her instincts — that streaming calls for a different type of song — are backed up by the work of Canadian musicologist Hubert Léveillé Gauvin. While completing his PhD at the University of Ohio, Léveillé Gauvin looked at 303 top-10 singles released between 1986 and 2015. He found that the anatomy of pop music had changed significantly, especially in terms of the length of the instrumental introduction. In the mid-1980s, the intro ran 20 to 25 seconds. By 2015, it had shrunk down to a mere five seconds. "So the time it takes before ... the main singer comes in has almost disappeared. So we're talking about an 80 per cent decrease in 30 years. This is huge!" Léveillé Gauvin said from his Montreal home. He attributes this change to streaming's particularly competitive environment, where a song has to stand out quickly among millions of other offerings. "One way to do that is by being front-loaded, by making the voice come in a little bit earlier, by making the chorus come in little bit earlier, trying to get a little bit of an edge in this competitive environment." Dan Kopf, who writes on economics and statistics for online news publication Quartz, reached similar conclusions last month, when he looked at chart-topping songs released between 2015 and 2018. He found that on average songs are getting progressively shorter, even songs by the same artists released on older and more recent albums. For example, tracks on Drake's Grammy-nominated Scorpion, released last year, are on average 11 per cent shorter than tracks on his 2016 album Views. Then there's the matter of the chorus. While Léveillé Gauvin's research has shown that the chorus in streaming hits appears much sooner than in the pop songs of yesteryear, the streaming era has also been kind to songs that actually have no chorus, at least not in its traditional sense. Think of the flat melodic beds of indie rock artists like Bon Iver or the so-called mumblecore rap of Post Malone: no fist-pumping chorus to be found. Friend or foe to art of songwriting? There is little doubt that at least a part of the changing anatomy of a pop song is due to the economics. In order for a stream to count towards a song's placement on the chart and for the performer and publisher/label to receive royalties, at least the first 30 seconds of the song must be played, which explains why reeling in the listener is more important now than ever. "I think it would be naive to think that producers who are betting millions of dollars on a new release do not have those conversations, at least behind closed doors," said Léveillé Gauvin. But how does operating with an eye on the clock affect the art of songwriting? "If people are writing music for that particular format, then I find that sad," said Grammy- and Juno-winner Sarah McLachlan, who is also hosting this year's Juno Awards. "Because to me — and this is a luxurious position to speak from — but as an artist I've always been allowed to speak my truth, to go into whatever kind of head space I need to to write the music I feel is mine, is authentic." McLachlan, who achieved both critical acclaim and popular success in the 1990s, stressed she didn't feel pressure to write her songs for radio, a format that placed its own constraints on artists. Back in the songwriting session with Willa, producer Michael Goldchain said he's aware that the desire to craft a "Spotify song" sometimes hinders the creative process. "Sometimes you'll be working on an idea and you kill it before it even becomes a real idea just because you're like, 'Oh, this isn't going to fit into anything, any playlist.'" But Goldchain still wouldn't trade the benefits streaming has offered: eliminating the need for the "middle man" in the form of a record label or radio DJ. "You just put your file on there and they will start submitting to playlists for you," he said. "Streaming platforms have allowed me to reach more ears than I ever could have independently just by releasing a CD or trying to get on radio because there are a lot of hoops to jump through," she said. "My music is where it's at because of the support from streaming platforms and that's incredible. I'm a big fan."